Considered as a device that can be all things audio to all people, NAD’s D 7050 Direct Digital network amplifier ticks many boxes. Its compact footprint and stylish design make it a friend of the style conscious. Those more comfortable with texting than talking will love that the D 7050 can handle all manner of ways to distribute music: Bluetooth, AirPlay, Spotify, something ancient called TosLink, and . . . coaxial? Like, whatever! Wires are so my great-grandparents. Audio enthusiasts like you and me are no doubt impressed by the D 7050’s Direct Digital innards, descended as they are from a lineage that would make the bluest blood swoon with envy. In the beginning there was NAD’s M2 Direct Digital amplifier, and it was very, very good. The M2 had the Direct Digital world to itself for a couple of years, then begat the C 390DD -- one of the best midpriced amplifiers ever, and a component whose presence I miss to this day. What’s remarkable about this technology trickle-down isn’t that it happened, but that, at each step, NAD has slashed the price of admission. The M2 still sells for $5999 USD. Much of its capability is resident in the C 390DD, for $2599. Now comes the D 7050, for only $999. Is it even possible that the D 7050 can hold a candle to its bigger brothers? Powerwise, the D 7050 offers 50Wpc, or one-third the rated output of the C 390DD. But NAD watts aren’t the same as some other manufacturers’ watts -- count on every one of those 50W being available not just at a single frequency, but across the audioband. If 50W don’t seem like enough, NAD’s got you covered with the D 7050’s analog outputs, which do double duty as subwoofer outs. Those outputs share a busy rear panel replete with two pairs of five-way binding posts, a pair each of 24-bit/192kHz-capable TosLink and coaxial inputs, a wired LAN connector, a USB Type A input, a USB Type B input (capable of 24/96) for streaming audio from a computer, an IEC power-cable connector, a reset button, and a button labeled WPS/JB. That last is used to enable no-brainer Wi-Fi connections between your network and the D 7050. Those connectors are not mirrored on the D 7050’s faceplate. There you’ll see a panel that swoops like an unfinished D, and from which sprout two knobs -- one for source selection, one for volume control -- and a mini headphone jack. The D 7050 measures only 9.2”H x 2.7”W x 10.5”D and weighs 7.3 pounds. Here begin the confessions. I’ve had a world of trouble getting wireless devices to work as advertised over the past few months. It’s not because I’m an idiot -- it seems that manufacturers are releasing products that don’t actually work. From famous-name thermostats to junk alarm systems and over-the-air PVRs, I’ve gone gray-haired trying to get devices to work as advertised. Surely NAD -- good old reliable NAD -- would be different. Well . . . not so much. As would be expected in 2014, the D 7050 has apps for both Android and iOS devices. I downloaded both, plugged in the D 7050, and went through the wireless setup recommended in the product literature. This was unusual in my experience, in that I was directed to plug my iPad into the Type A USB port on the back of the D 7050, then select “OK” when the iPad asked if it could allow the D 7050 to use my network settings. I suppose this setup method makes sense -- the D 7050 doesn’t have a nice big screen to ask me to accept settings. So I tapped “OK,” unplugged the iPad, and . . . nothing. No matter what I did, I couldn’t get the D 7050 to connect to my wireless network. For me, that wasn’t a deal breaker; I intended to mainly use the D 7050 to power a pair of built-in speakers wired through my home’s utility room. Also resident there is my router; I simply plugged the D 7050 directly into the router and, presto, I had a working connection. I fired up my iPad and told the app to find the D 7050. It wouldn’t. I tried it again and again and again, and still could use the app only in demo mode. I rebooted my iPad and switched to a Samsung Galaxy Tab running Android. It couldn’t connect either. 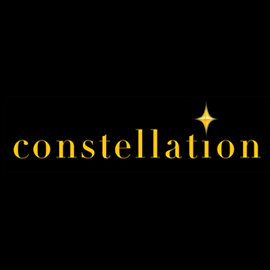 I rebooted the Galaxy (makes me sound omnipotent, doesn’t it?) and waited. Rebooting had no effect on either device. I screamed in frustration, broke a few windows, asked aloud why nothing works as it’s supposed to, and poured a glass of wine. My pleas for divine intervention were heard. Inexplicably, the iPad now discovered the D 7050, and I could control the latter via the former. Tempting fate, I disconnected that app and, sure enough, I could reconnect using the Android tablet. Both worked, and continue to work. Unfortunately, all that that heartache gained me was the ability to turn power on and off, change inputs, and play with something called Speaker EQ, which contains settings tailored for a few offerings from NAD’s sister company PSB. Plenty of comments in the Apple and Android app stores back me up regarding connection difficulties. I now had a D 7050 connected by wire to my router, which gave me access to my music collection, and I had a functioning D 7050 app. Unfortunately, the D 7050 is not any sort of player, so I had to coax music into it by alternate means. I resolved not to use the wired inputs. Instead, I Bluetooth-paired the D 7050 first to my iPad and then to my Galaxy Tab, without issue, and streamed music from my 2TB collection to the D 7050. That worked pretty well, though the signal dropped out more than I liked (I would like zero dropouts). Whether it was my Mac Mini or the iPad or the D 7050 that was responsible for the dropouts is anyone’s guess. What drove me berserk weren’t so much the periodic dropouts as my iPad’s great willingness to suddenly forget it was Home Sharing with my music library and offer me only the paltry music library stored on the device. Again, not NAD’s fault, but something to keep in mind if you plan to use the D 7050 in such a way. Once I had the iPad Bluetooth streaming working, I tried Spotify but didn’t get very far -- that service is not available in Canada, where I am available 24/7, so I don’t know how well it might work with the D 7050. Frustrated at living in a third-world country, I tapped the Google Play icon on my Galaxy to see if it was some kind of audio player. It is that, and so much more! Soon I was streaming music from Google Play’s vast audio collection in the cloud through the D 7050 and into my living room. This is what kids call “cool.” For ten bucks a month, I’m sold. What’s more, the Google Play connection through the D 7050 has been rock solid. It’s been playing 24/7 for weeks, as far as I know without interruption. This is what I was hoping for with the D 7050. Unfortunately, there’s a catch: Google streams audio only at 320kbps. “Red Book” CD audio -- 16-bit/44.1kHz -- streams at just over 1400kbps. Translation: 1400kbps is better than 320. Taking what I could get, I got down to listening to the D 7050, now connected to my Aperion Intimus 6-IC in-ceiling speakers and PSB SubSeries 200 subwoofer. It wasn’t that long ago that I would rail against what passes for acceptable audio these days (iTunes). In fact, it was about three weeks ago. I admit to expecting not to be too happy with Google Play’s 320kbps stream, but I was wrong: through the D 7050, that less-than-ideal bitrate sounded surprisingly good. Pianist Bill Charlap is one of my favorite jazz musicians, and it was his recordings I first sought out in the Play library. From Charlap’s Stardust: The Music of Hoagy Carmichael (320kbps MP3, Blue Note) I streamed “Jubilee,” a fast piano-bass-drums romp with a staccato hi-hat beat up front, piano and snare drum occupying the middle space, and a subdued bass line at the back. It’s a recording I like and know well and, given the stream’s low bit rate, I expected disappointment. Instead, I was impressed with how good the sound was. The D 7050 immediately exhibited the kind of qualities that have endeared audiophiles to its Direct Digital brethren: an ultraquiet background, tight control of the music, and a neutral tonality that let the music do the talking. Remember that, at this point, I was listening to in-ceiling speakers, which use a less-than-rigid ceiling as their baffle. Tight control in this instance is difficult, but the D 7050 composed the Aperion speakers to a degree that would have impressed Emily Post. I then used Google Play to search for some relatively obscure heavy metal from my well-spent youth. To my delight, I found the title track of Accept’s Balls to the Wall (320kbps MP3, Portrait), a growlfest of crunchy guitar and cracking snare if there ever was one, and well recorded to boot. This hard-driving standard of German heavy metal provided a much more difficult challenge for the D 7050 than had Bill Charlap, but again, I didn’t find the sound wanting. During the guitar solo I especially enjoyed the monk-like chanting in the background: it was perfectly intelligible, with recording-venue sounds intact -- something I wouldn’t expect to hear from a lower-resolution audio source. While playing this track, I began to think I not only could live with an in-ceiling/subwoofer system for background listening, but might even enjoy showing it off. It was very difficult to hear where the Aperions, set at 70Hz using the D 7050 app, rolled off and the PSB SubSeries 200 kicked in -- the integration of satellites and sub was superb. The sound was really good. I was a happy reviewer. 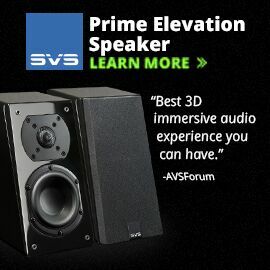 However, well aware that most people will not be listening to the D 7050 through ceiling speakers connected to a subwoofer, I placed the amp in the living room, this time connected to Aperion’s Verus Grand Bookshelf speakers. 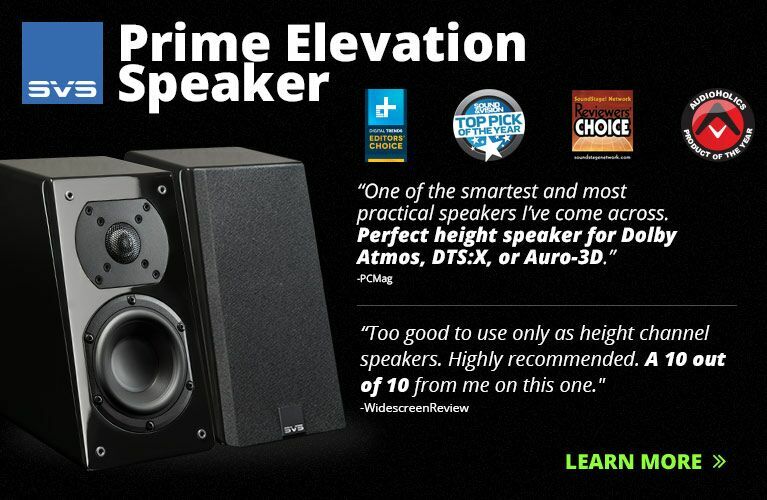 These are entirely passive speakers, and therefore would test the D 7050’s ability to reproduce bass. And because they’re of far higher resolution than their in-ceiling brothers, they would reveal any flaws much more readily. Right away I was taken aback, again by how much I was OK with Google Play’s sound. I relistened to the same tracks and heard an even better quality of sound in the mid and upper frequencies, with the sort of tight bass that both the Verus and previous iterations of Direct Digital are known for. But enough streaming, I thought; it’s time to bring out the digital big guns -- in the forms of lossless recordings. The result was not surprising. Now the D 7050’s qualities were abundantly clear: dead-quiet backgrounds, superfast reflexes, great bass control, and strict tonal neutrality. Like its predecessors, the D 7050 got out of the way of the music as do few other amplifiers, and none I know of that cost $1000 or less. As good as the MRX 300 is, it couldn’t match the D 7050’s utterly quiet background. It might seem odd to so emphasize quietness, but anywhere an amplifier is spending its resources generating self-noise, it is not using them to reproduce the signal and it is not getting out of the way of the music. 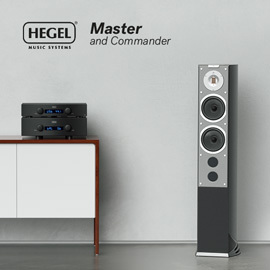 After all, it is the quest for silence that breeds so many aftermarket audio accessories, chief among them power filters and isolating stands. The ideal, then, is for an amplifier to have silence built in. The trick is not to crimp the music while doing so. As I listened to plenty of CD-quality music, it became clear that the D 7050 was letting only the music through, not the accompanying noise. The above should not be taken to imply that the MRX 300 hums like an electrical transformer in the rain -- it is a great-sounding amplifier in every respect. It is very quiet and very musical, but as much as I like it (I bought it), I’m so smitten with the sound of NAD’s Direct Digital technology that I couldn’t help but prefer the D 7050. Where the MRX 300 was very quiet, the D 7050 was silent; where the MRX 300 had tight, punchy bass, the D 7050 was tighter and punchier. In treble reproduction, though, I found an edge for the MRX 300 to exploit. It might be that the slightly more distorting amp in the MRX 300 (again, I’m talking about a small degree of difference) results in a more mellow and melodious sparkle on cymbals, for example. The NAD isn’t harsh by any means, but the MRX 300 seems less apt to grate with tracks that are too rich in the treble -- such as anything from Def Leppard’s syrupy Hysteria (16/44.1 ALAC, Mercury). With the D 7050 Direct Digital network amplifier, NAD has done it again. 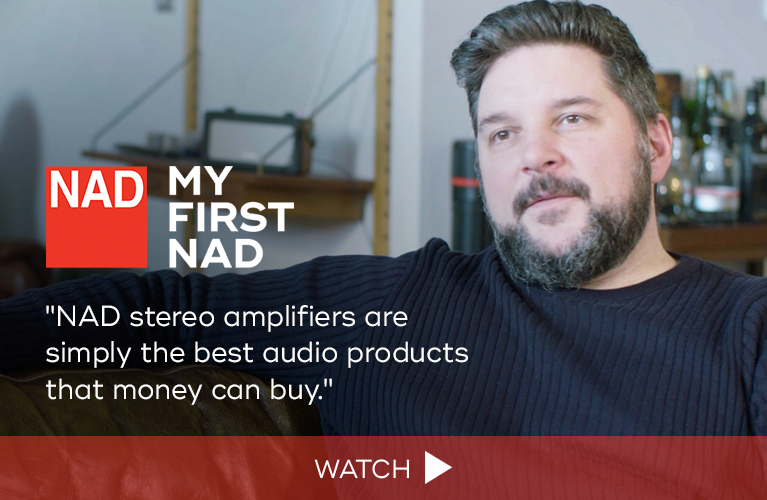 To my ears, NAD is producing some of the finest amplifiers available at any price, and the D 7050’s wireless ability, imperfect as it is, is a boon to modern living. Once the D 7050 is set up properly, the convenience of its wireless ability is undeniable and is, after its terrific sound, its main selling point. It’s so convenient, and sounds so good, that this member of the Direct Digital family is staying put. I still pine for NAD’s C 390DD, but the D 7050 offers a lot of that amp’s stunning sound at less than half the price. Heaven help me if NAD introduces a C 390DD with Wi-Fi capability . . .